There are so many pristine beaches around the coast of St. John for your lounging, swimming, and snorkeling pleasure. Whatever activity you decide to do, there is a beach for you. And some beaches have it all! One of our favorite hidden gems with a variety of activities to enjoy is Salomon Bay St. John. One of the best beaches on St. John USVI, Salomon Bay features sugar white sand, aqua blue water, and an off-the-beaten-path location. It’s the perfect beach day hideaway for those looking to avoid the crowds but still soak up the sun. Here are a few of our favorite things about Salomon Bay St. John! Find out more about all of the great beaches near your CimmaronStJohn vacation home when you read our Beach Guide. It’s full of the best recommendations for beaches like Salomon Bay St. John with the activities that you enjoy most! There are multiple routes to arrive at Salomon Bay St. John. You can travel on foot by hiking the Lind Point Trail. Or, you can drive along Route 20 and enter through the main gatehouse to Caneel Bay Resort. Whichever option you choose will involve walking along a trail to the hidden island treasure. The first option will provide you with an added hiking adventure, while the second will bring you to a luxurious retreat en route to your final destination. Lind Point Trail can be hiked from the Virgin Islands National Park Visitor’s Center on the waterfront in Cruz Bay. From here, it is around a one-mile hike to Salomon Bay St. John. If you decide to drive to the Caneel Bay Resort and walk from there, be prepared to pay a $20 fee for parking. This fee can be refunded with a $20 purchase during your visit to the resort. Once you’ve arrived at this off-the-beaten-path oasis, there are many activities you can enjoy. Whether you want to lounge under the shady palm trees along the sandy shoreline or explore the crystal clear water, there are options! One of our favorite activities at Salomon Bay St. John is snorkeling. Just be wary of the many sailboats and yachts that may be passing offshore. The private paradise of Salomon Bay St. John offers lush green cays, aquamarine bay waters, and some extensive reefs. Snorkel between Salomon Bay and Honeymoon Beach on the bay’s east end for some spectacular coral wildlife. Discover colorful parrotfish, gentle angelfish, and more underwater friends during your snorkeling adventure! 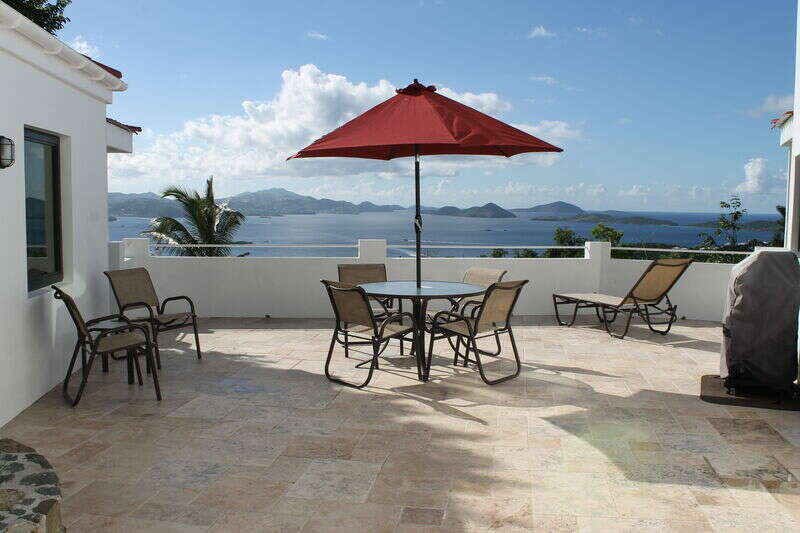 CimmaronStJohn is a great option for those seeking a private oasis on the island of St. John. For anyone from romantic couples to family vacationers, our CimmaronStJohn homes provide the best affordable private spaces the island has to offer. Enjoy magnificent sunrise and sunset views from expansive porches, outdoor pools and hot tubs on private verandas, and luxurious master suites with all the amenities you could want! Our helpful concierge services will take care of all the little details, so you can worry about what vacation is for- relaxing!